Home >> Generated from JAN's SOAR Information System on 4/26/2019 4:02:56 AM. TouchChat Express is a full-featured communication solution for individuals who have difficulty using their natural voice. 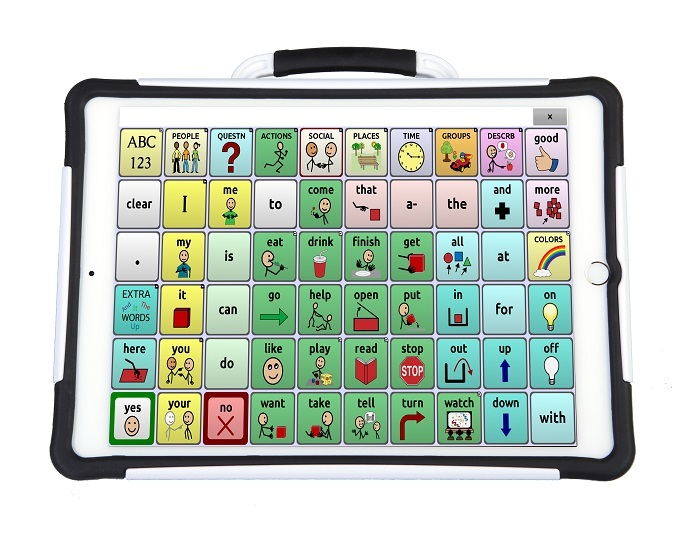 It includes both English and Spanish vocabularies, including the popular WordPower series of AAC vocabularies designed by Nancy Inman. Words, phrases and messages are spoken with a built-in Acapela voice synthesizer or by playing a recorded message. Various English and Spanish synthesized voices are available, allowing the user to choose a voice that fits their own personality.